SINCE AUGUST of last year, websufers have been able to watch gems from the archives of Scottish Televison on video sharing site YouTube. Among the classic STV programmes made viewable on demand are popular drama Take The High Road, music show Thingummyjig and selected highlights of historic Scottish football matches. In our latest feature, Wiped News speaks to David Paton, Media co-ordinator – STVPlayer on YouTube, about the move into cyberspace and the search for lost material. Visit: STV Archives Come To YouTube. A MISSING performance from Top Of The Pops has been returned to the BBC after being spotted on the internet. Guys n’ Dolls performance of ‘If Only For The Good Times’ hails from a wiped 1976 edition of the BBC chart show. The three-minute clip, from the 12.08.76 edition, came to light after being posted on video sharing site YouTube by band member Paul Griggs. Missing episodes enthusiast Ray Langstone contacted Griggs after seeing the video, uploaded from a domestic recording made at the time. Ray said: “I saw the clip on YouTube, and realized it was from a wiped episode, and after a lot of research, managed to find the Poster’s email address. Guys ‘n Dolls formed in 1974. 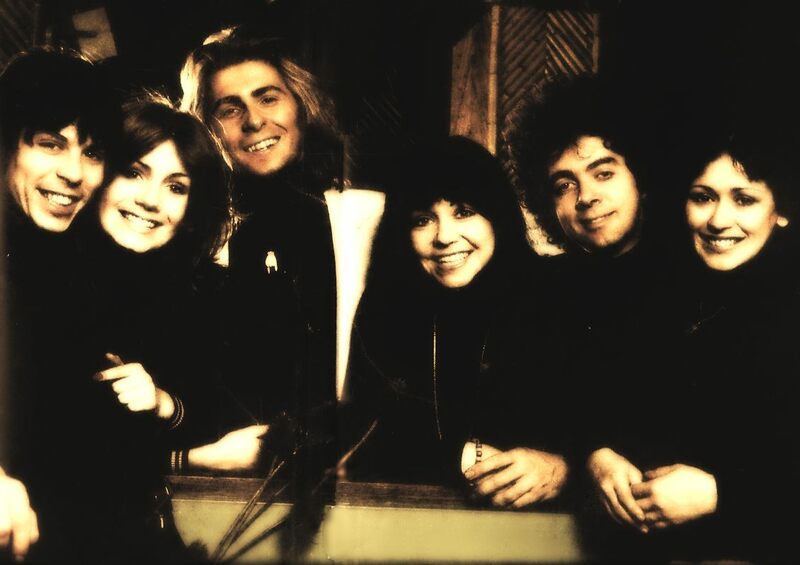 The pop group went straight in at number two in the UK charts with first single ‘There’s A Whole Lot Of Loving’ and followed with a string of other hits in the UK and Netherlands. The group disbanded in 1985. ‘If Only For The Good Times’ is unusual for a Top Of The Pops performance in that it didn’t chart in the Top 40. The recovered clip (viewable below) includes a brief introduction by that week’s host Tony Blackburn and the whole of the song. The performance features David Van Day and Thereza Bazar, who left Guys n’ Dolls in 1977 and went on to form Dollar. Ray received a DVD copy of the VHS clip in mid April. He has now returned the orphaned clip to BBC Archive’s Andrew Martin, in Brentford. Ray said: “I spend several hours a week looking for missing episodes, although my methods are that of an enthusiastic amateur. Hopefully my contacts and skills will improve as time goes on. Singer Paul Griggs has recently released a book looking back at his days in the music industry, entitled Diary of a Musician. A LOST Top of the Pops clip featuring glam rockers The Sweet has surfaced on video sharing website YouTube. The band’s first of two Top of the Pops performances of hit single ‘Action’, which reached #15 in the UK charts, comes from the 10th July, 1975 edition – which is officially missing from the BBC archives. It was uploaded to YouTube by music collector Phil Moss, who announced the find over at the Missing Episodes forum. The rare footage was originally recorded off-air by The Sweet’s lead singer Brian Connolly using early VCR the Phillips N1500. It was part of a tape featuring band performances culled from shows between 1974-5. Being an old domestic recording, the clip suffers from occasional vertical jitter, drop outs, colour loss and top screen tearing, but is still watchable and could be improved with restoration. In a 1974 magazine article Brian discussed his new VCR, which cost him £1,000 (approximately £5, 570 in today’s money) and the novelty of video tapes (£18 each, the equivalent of £150 today). He said at the time: “I’ve got this fantastic machine. It’s like a T.V. tape recorder. You can record any programme you like, then you’ve got it as long as you want. Sadly, it seems those complete shows were discarded at some point but at least rock fans can once again get to see some vintage Sweet ‘Action’. For more information on pop stars and VCRs, check out this informative thread from the Missing Episodes forum. If you judge aesthetically, it’s pretty shoddy, but regardless of the quality, one YouTuber’s admirable attempt to animate a whole missing episode of Doctor Who is worthy in two respects. Firstly, Martin Scotchmore’s amateur recreation of “The Moonbase” episode one (tx 11/2/67) is highly watchable in its own right. OK, Martin’s “borrowed” heavily from Cosgrove Hall’s superlative animations of episodes one and four of 1969’s “The Invasion” – released on DVD by 2|entertain in 2006 – with the amusing consequence that a lot of characters share faces (such as all the women looking like TARDIS companion Zoe). But never-the-less, it’s still an A* for effort, considering that 2|entertain have yet to commission any more animations despite their being a considerable demand for them among the Who community. That brings me to the second point concerning it’s value: Ropey as it is, it still enjoys the distinction of being the ONLY fully animated fan-produced episode to date. So thanks Martin for doing this, and I hope we get to see missing episode three some time soon. and secondly, it has the distinction of being the only fully animated fan-produced episode to date.